Conference calls are the lifeblood of businesses spread out over multiple states or even countries. They allow people to come together, brainstorm, eliminate problems, and generate inspiring solutions that just aren’t as easy to arrange from a distance. Although it’s certainly possible to host and run your own conference calls from virtually anywhere, doing so can burn a significant amount of time from your already-busy schedule. 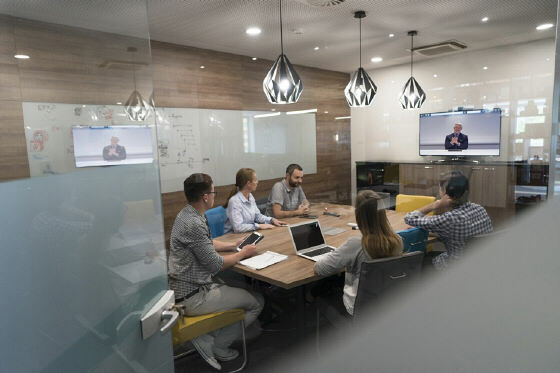 Instead, we recommend using operator-assisted audio conferencing hosted by live event managers who can handle the organization and flow for you. Sometimes, people think of operator-assisted services as simple calls where an operator remains on the line during the call. While this is true, it’s a short-sighted view of what is a much more complex task. Operators also assist with organizing the conference call before it begins, which includes sending out invitations, identifying the best service, setting up services appropriately, and, in some cases, even addressing questions from attendees. Your operator will sit down with you before the call to help you identify specifics, like timeframes, hold music, IVR options, scripting, or even call flow. You’re matched with the right services and you save money, getting more of what you need and less of what you don’t. Typically, a conference call host greets each newcomer and welcomes them by name. This can take up a significant amount of time; in some cases, it may even become downright impossible. Reserved audio conferencing operators can handle this step for you, addressing and/or verifying each new addition privately without interrupting the call. You achieve the same level of security and respect without sacrificing call flow at the same time. Most operator-assisted facilities also offer a significant improvement in on-the-spot scalability, too. Not sure how many you plan to host? Your operator can track and monitor signups in real-time, adjusting services or technology to compensate. Need screen-sharing, video, or other integrated services? Your operator can arrange that for you, too. Running a conference call yourself can be hectic, especially with hundreds of guests. It requires full-on multitasking, a significant amount of time, and all of your attention. Unfortunately, as a result of simple human limitations, you will eventually reach a point where you can’t physically juggle everything at the same time. Security is frequently the first area to suffer; the wrong person (perhaps a corporate spy) finds his or her way in, or clients who haven’t paid to attend the meeting get in for free. The result of a security breach can range from slightly annoying to completely disastrous, depending on the topic at hand. Operator-assisted services do take some of the heat off of you so you can focus on your call, but they benefit security in other ways as well. Having operator-assisted audio conferencing services with someone present to verify, check in, and monitor the progress of the call ensures that your audio conferencing session remains tightly controlled and secure at all times. For companies talking about confidential topics such as finance or product development, this can be crucial.